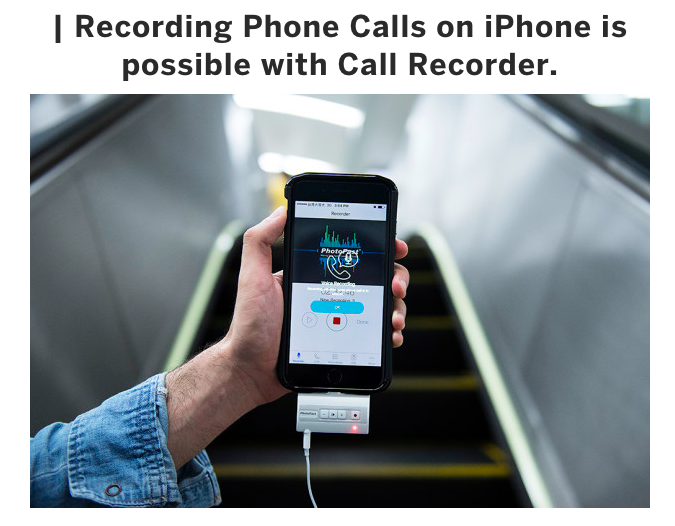 Apple users know how hard it is to record a conversation from their phones. Unlike Android, where there are lot of FREE apps from Google Play Store to download that record and save your calls, recording a call on Apple is a headache. There are few software but they are expensive. PhotoFast is a hardware that can be connected with your iPhone and record the conversations. It is actually a lot more than just a conversation recorder. Not only it records the phone calls but also lets users to remove some part of the conversation (as of their liking) and store it. This eliminates the mobile internal storage space as the device records, saves all conversation in it which can be played later and also shared on important social media websites such as WhatsApp, Skype, Facebook Messenger, Viber, Line and WeChat. The device is listed on indiegogo and is available for $125 with a shipping timeframe of within 2 weeks.